Gowbarrow is a popuar fell near Aira Force waterfall. Our team in the Central and Eastern Lakes worked on the paths on this mountain for a large part of the summer of 2013. They had a range of volunteers supporting them from the Envrionment Agency, Field Studies Council, working holidays and even a local school as well as our Fix the Fells lengthsmen. In November, the Chief Executive of the Lake District National Park, Richard Leafe and the LDNPA Fix the Fells Board representative Mark Eccles joined in too. In total, Gowbarrow was supported by over 150 volunteers. The work continues in 2014. Again, a lot of volunteer support is going into this project. More rock was flown to site to complete the path and we hope this will finished this year. We were fortunate to receive £4,000 from the Ramblers Association Sharpe Legacy for this work. This money helped fund the helicopter lifts this year. We are a team of skilled rangers and volunteers who repair and maintain the mountain paths in the Lake District with funding from donations and partners. 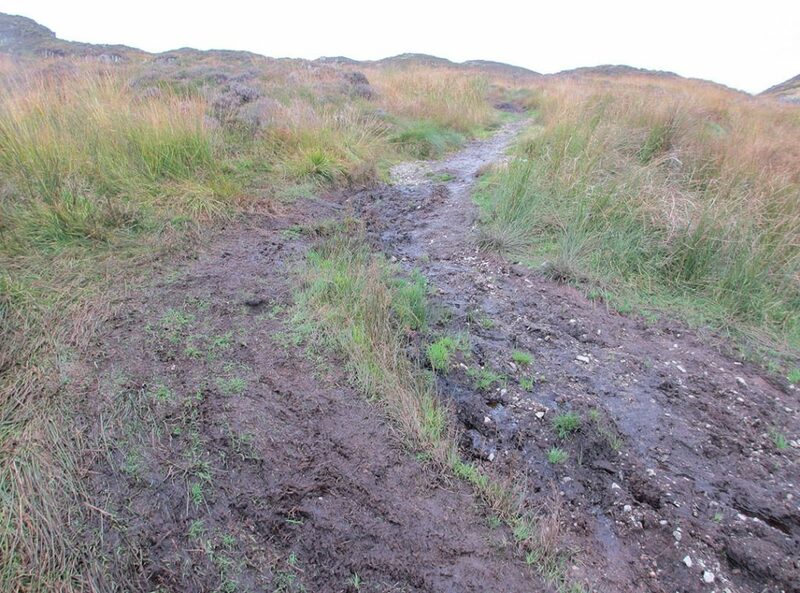 A combination of millions of pairs of walking boots, the weather and gradient means erosion is a constant problem. Our path work reduces erosion scars and also helps protect the ecology and archaeological heritage of our beautiful landscape.